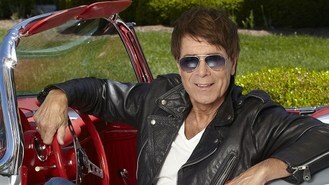 Sir Cliff Richard has announced his landmark 100th album. The singer, 72, is set to release The Fabulous Rock 'n' Roll Songbook in November. Described as a tribute to the likes of Elvis Presley, Chuck Berry, Little Richard and Buddy Holly, the album was recorded at the Blackbird Studio and The Parlor in Nashville, Tennessee. The Summer Holiday and Living Doll singer had his first hit in 1958 and released his debut album Cliff a year later. Since then, he has since released 46 studio albums, seven soundtracks, 35 compilations and 11 livealbums. Sir Cliff said of the recording the album: "It was like being back in the 50s with The Shadows in Studio 2 at Abbey Road - only it wasn't The Shadows, and it wasn't Studio 2 and it wasn't the 50s." He added: "This was my chance to pay tribute not only to, in my humble opinion, one of the greatest advances in musical history, but also the artists who took rock 'n' roll to the top of the charts world-wide. "As with all great art forms, rock 'n' roll did not stand still and there have been some phenomenal changes, bringing it to where we are now. "All I know is that 'in the beginning' what kicked the whole thing off was the fabulous rock 'n' roll songbook. "That whole period was new and unbelievably exciting, and to think that I was there!! Saving up my pocket money for weeks so that I could buy Elvis's first album - borrowing someone else's collection of Little Richard (my name in part, was a tribute to him) and skipping school so as to get seats to see Bill Haley play live." U2 bassist Adam Clayton has married his Brazilian girlfriend during a low-key ceremony in Dublin. The Human Rights Foundation is criticising Kanye West for performing at a wedding in Kazakhstan, saying he legitimised the human rights violations of the nation's president. Jennifer Lopez has revealed that she used to be "insecure" about her singing - but got over it with the help of ex-husband Marc Anthony. Broadcaster Steve Lamacq has been honoured for being a tireless champion of indie music. The founder of rock veterans Hawkwind, guitarist Dave Brock, has been honoured at a music awards event for his lifetime achievement. David Bowie has denied rumours that he is planning to perform live in London next summer. Lily Allen has tweeted Lady Gaga to ask her out for sushi during her London visit. Union J have revealed their debut album features a song by Jason Derulo, and they're hoping to collaborate with him in the future. Prince has unveiled his new single, Breakfast Can Wait.